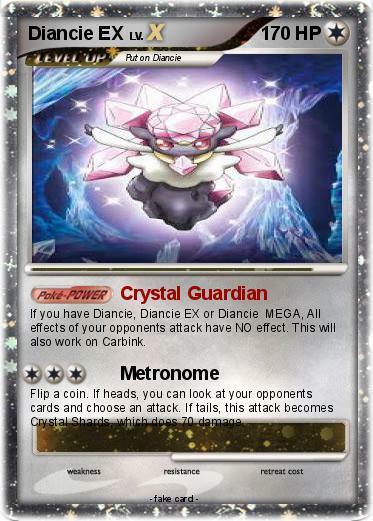 If you have Diancie, Diancie EX or Diancie MEGA, All effects of your opponents attack have NO effect. This will also work on Carbink. Flip a coin. If heads, you can look at your opponents cards and choose an attack. If tails, this attack becomes Crystal Shards, which does 70 damage.